For a long time, about decade or so ago, I had this toy-model of Russian space station Mir hanged in our living room settled nicely between two more common house decorations like art sculptures and framed pictures. 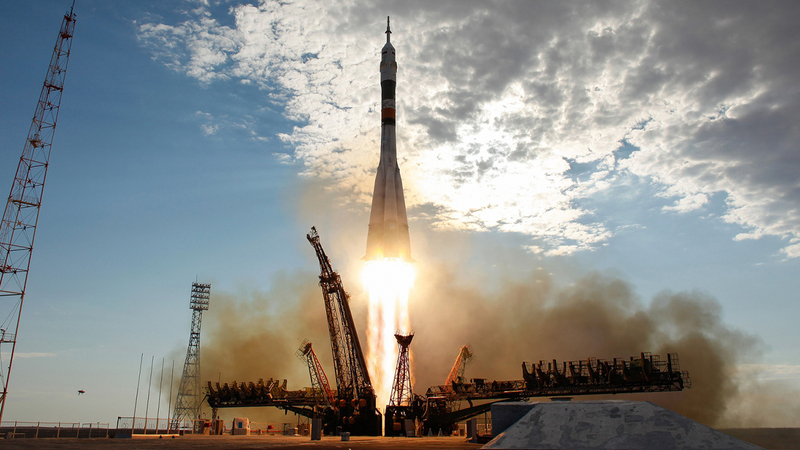 It was small in size, no bigger than five cubic inches with two teeny tiny Soyuz spacecrafts docked at their designated locks and numerous solar panels all over the place. The plastic toy is long gone now but still from time to time it raises some nice memories, especially those moments when couple of our guests after close inspection from all directions asked questions like "What the heck is this?" or "Is this art?". Not many of them recognized the most challenging technological endeavor of the last two decades of previous century at first glance. On March 23, 2001, all the biggest Mir's fragments after surviving hellish re-entry through the atmosphere hit the Pacific ocean and ended 15 years of various scientific experiments performed by 28 long duration multinational crews with total of 104 people from 12 countries. In a way, the end of Mir at the beginning of new century was the dawn of currently the most ambitious project in progress. 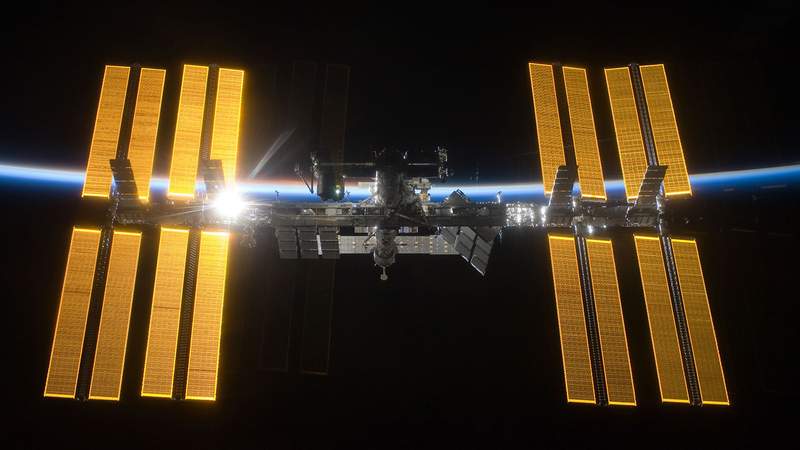 In the beginning of third millennium, the biggest space station in the history of orbital science simply named "International Space Station" already started to rapidly grow thanks to NASA's well known Space Shuttle program. Three shuttles performed total of 10 visits to Mir (1995-1998) and total of 37 visits to ISS during the 13 years of assembly process (December 4, 1998 - July 8, 2011). Shuttle Columbia, due to its different purpose never visited either ISS or Mir - it was the heaviest of all of the orbiter shuttles and simply not equipped to reach that high in orbit. We can freely say that Space Shuttle program was a backbone of the International Space Station construction. If it wasn't of those three shuttles with their large payload of about 25 tons, I guess ISS would only stayed another theoretical project in space exploration archives.Thankfully that didn't happen and today, after 15 years from the fist launch of Zarya module (first module installed), ISS is the biggest functional space laboratory in low orbit. The only one that operates in micro gravity environment, fully habitable and capable of hosting six people at all times. I will not going to try and explain all the station's complex systems, one blog post is way too small for that. Instead let's just briefly enumerate its main structures and modules. Let's start with the largest part of the ISS. The truss. If the backbone of the station assembly were orbital shuttles carrying piece by piece up to the almost 400km in low Earth's orbit, we can safely say that the real backbone of the whole station is its truss. This is the structure that connects everything together. It mainly carries non-pressures equipment like enormous solar arrays, radiators, converters, rotary mechanism for chasing Sun, power regulators, batteries, external payloads and various other equipment. The truss is 108.5m long with solar panels lentgh of 73m. The power generated by eight solar wings and solar panels on other modules is about 110 kilowatts which would be enough to power residential street with up to 60 houses. The ISS's "batteries included" feature is essential in addition of collecting sun rays as one third of the orbit puts the station in eclipse and the only power in these 30 minutes of darkness comes from the nickel-hydrogen (Ni-H2) batteries located in each truss segment that carries solar panels. Pressurized modules are completely different story. This is where all the fun happens and where people live, work, eat, exercise, sleep etc. There are total of 14 modules plus one more on the way (Russian laboratory called "Nauka" which will complete ISS this year or the next. Modules are usually multi-functional in their purpose, meaning they contain different systems designed for various tasks, especially with modules "Harmony" and "Zvezda" which are equipped with astronauts private cabins for sleeping and resting with additional monitoring and life supporting systems. Soyuz and Progress are able to dock to "Zvezda" while shuttles always docked to "Harmony". There are three more docking ports capable of Soyuz/Progress connectivity and one extra installed to the "Tranquility" node. 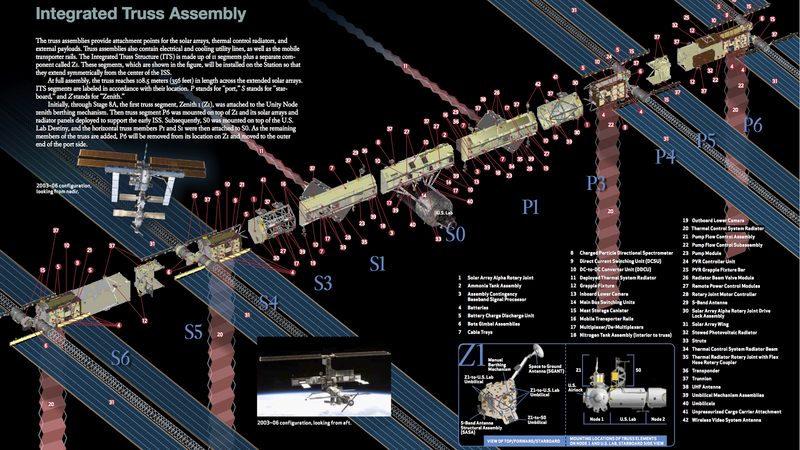 In this group of service nodes, there are also modules "Unity" and "Tranquility with their 6 berthing location for further expansion of the station. If some more modules are going to be designed in the future, they will be connected here. Next functional modules are three PMAs (Pressurized Mating Adapter) that serves to connect different modules (for example connecting Russian and American modules with different types of connecting ports). There are also three airlock modules, "Poisk", "Pirs" and "Quest" where astronauts used to suit up and go out for spacewalks. First two are connected to "Zvezda" and designed for Russian spacesuits, while "Quest" is universal and serves all suit types. Next are cargo bays "Zarya", "Leonardo" and "Kibo logistics" and finally there are laboratories "Destiny", "Columbus", "Kibo" and upcoming "Nauka" where astronauts perform various research in microgravity environment including physics, biology and biomedical research, quantum physics and cosmology, study the Sun and exposure of materials in void of space. There are also various general research, monitoring Earth features and research in space medicine, communications, robotics, biotechnology, materials production and many more. In previous years lost of different experiments are performed from studying cosmology to the growing plants in microgravity environment. There even was a limited edition of beer produced from barley grown in "Zvezda" module for five months (sold for $110 per six pack). Finally let's not forget "Cupola", first observatory module in space with large seven windows providing exceptional view to the mother Earth and ISS's front yard. This video is hosted by ESA astronaut: André Kuipers, but there are other equally great videos made by other astronauts, like the one made by Sunita Williams and Mike Fincke of NASA. I am sure there are other videos and presentations both from ISS and the ground but I can't resist not to include some more "other kind of tutorials" made by astronauts within narrow hallways and modules aboard the station. Being a big fan of Angry Birds franchise, I remember Viktor and I impatiently waited couple of months between first teaser of Angry Birds Space and the final date when Rovio introduced the game on Android Market. One of the amazing trailer in between was filmed by astronaut Don Pettit about year ago. While we are here try not to miss this short video of Slash and its story about Angry Birds Space music. Ok, let's forget birds in space for a moment and get back to the ISS and how it can be seen with naked eye from the ground. Because of its size and almost half an acre of the surface of all solar panels combined, the ISS is the brightest man made object in the sky. There is a magnitude scale invented by Hipparchus (old Greek astronomer who lived about 150 year before Christ) that represents the system of enumerating the brightness of visible stars. The brightest star, the Sirius (actually three stars system), was given apparent magnitude of 1 while the dimmest stars got magnitude of 6. In modern age this scale has improved and if we use it for non-stars objects visible by naked eye, the Full Moon would have -12.6, the Sun can go to -26.7 while the brightest planet, Venus when it's in stage of Full Venus (like Moon, Venus also have phases), the brightest stage, goes to -4.4. The ISS can be really bright and if caught couple of hours after sunset or couple of hours before sunrise, when the sky is dark enough and ISS is sunlit but the ground it can be as bright as Venus, slowly crossing the sky over couple of minutes. If you don't know its flying schedule it could really surprise you with the size of moving dot on the dark sky. It happened to me couple of times and once it was remarkable - I described that event in the post Augmented Reality. It was really scary as I thought Venus started falling down directly toward our balcony. Later I investigated further and found out numerous web sites and alerts that actively track ISS. One of those I found on Twitter and it is regularly tweeting me when ISS is about to cross the sky above my location. Try it out - the name of the app is Twissts and it is amazingly accurate considering that ISS from time to time actively changes the orbit by firing booster rockets for various purposes. While browsing the web I also tried to find out what would be the future of ISS after mission ends after the year of 2020. If we exclude all the euphoria of the private sector trying to establish low orbit hotels and recreation facilities, there is one more bold idea I stumbled on the net. Proposed project is called "Orbital Piloted Assembly and Experiment Complex" and it should represent the third generation of low orbit space stations. And not just the station. If came to life, it would be real small factory created to assemble components of manned interplanetary spacecrafts. Like in Star Trek movies, this would be outpost where astronauts would board docked spacecrafts and go for a trip to near Solar system planets, satellites and smaller objects. It seems that Russian Federal Space Agency (Roscosmos) is serious about this and planning to use the most of the Russian orbital segment (ROS) as a ground base for the new space station. This would really be the next step of space and interplanetary research. Hopefully other members of international co-operation will follow this amazing scientific dream. Finally, at the very end of the post and in today's update of IIS story after two full years, I wanted to add some thoughts and book recommendation for a novel called 'Vessel' by Andrew J. Morgan in which IIS is taking a big role in this SciFi-ed mystery thriller. There are no many IIS related impacts in movies and literature so far and 'Vessel' is perhaps one of few that are describing the station in great detail, nicely embedded into science fiction story. Andrew J. Morgan as in fashion of new wave of indie authors self-published the book and got pretty decent reviews for the story that involves believable detective background wrapped within untold mystery at the end. I agree with people saying that 'Vessel' left way too many loose ends and plenty of room for a closure or at least a sequel with at least further scientific involvement of hinted multi-universe and alien doorway to it. However, I admire the author's effort to picture IIS modules and Soyuz-Progress spacecraft to full accuracy as well as with decent plot and bravery to hit the large audience. I truly recommend it.